This being Easter long weekend, I thought I would share a past post where I shared how my family gets ready for the holiday. In fact, as I am sharing this, I can see the same eggs that we decorated 2 years ago when this post was written 2 years ago! They are hanging on the plants on our apartment balcony in Sydney. They are so festive, but best of all, they are real! I hope you enjoy reading (or re-reading) it as much as I did. Happy Easter! Let me know how you celebrate this holiday; I’d love to know! How do you celebrate Easter with a PKU or diet restricted child? What can you do to make the holiday special without the sweets? 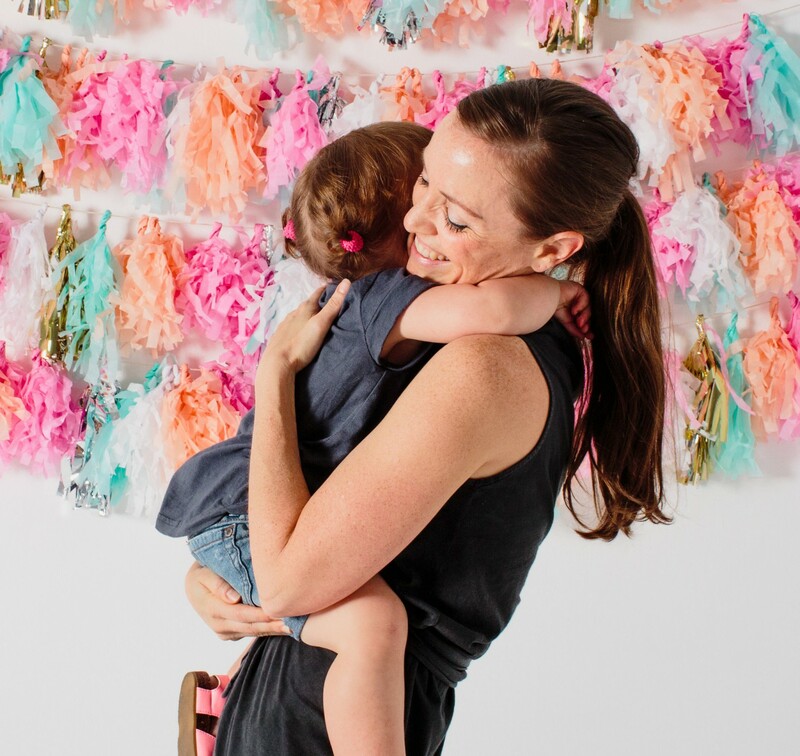 Last year during a PKU family information day set up by Charlotte’s metabolic clinic, I was surprised to hear that some families found holidays (and Easter specifically) a bit difficult with a PKU child. Of course I understood that PKU children cannot eat the typical Easter goodies (chocolate, hot-cross buns and other treats) but I was still surprised that this would be such a major issue. At our house we try to find ways of celebrating both mine and my husband’s cultures during the holidays. The cultural differences between American and Germany traditions have become a fun highlight that we try to explore each year. The melding of these two cultures have also brought ways of creating our own family traditions. Inevitably, food is a part of these traditions but there are also other ways to celebrate. 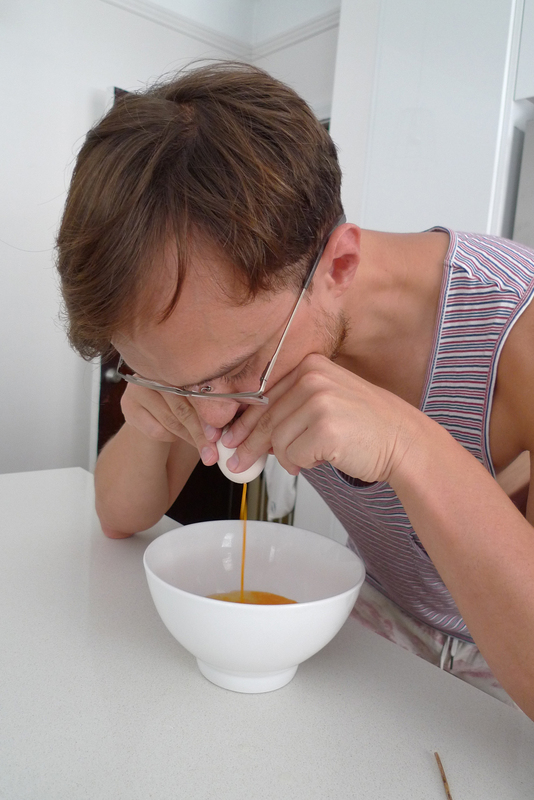 Last Easter my husband introduced us to the German way of dying eggs. Of course, we always dyed Easter eggs where I grew up but our eggs were hard-boiled. These eggs were some times eaten but more often thrown away or rolled down the hill. 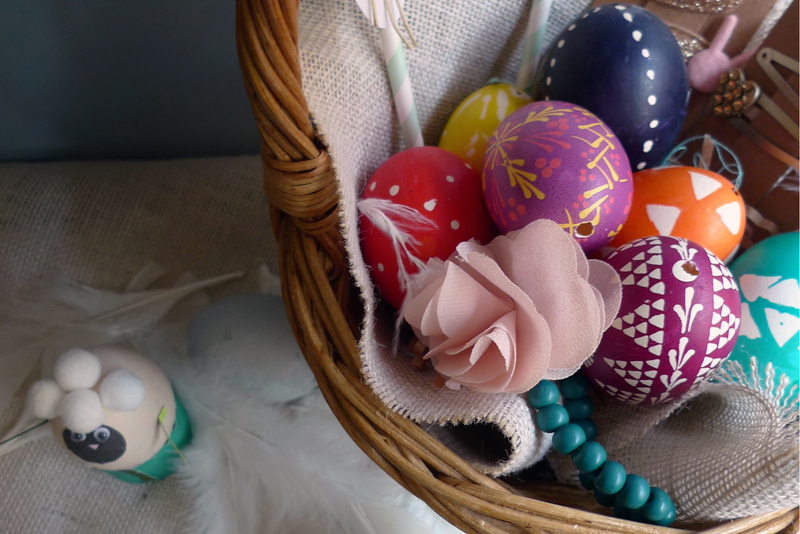 In Germany (and other Eastern European countries) the eggs are drained, leaving a thin, fragile shell to decorate. It was so much fun to watch him blow the egg out of a tiny hole. After we finished the eggs, we then strung them with thread and hung them on a branch that we suspended over the kitchen island. The effect was magical. This year Charlotte was old enough to decorate her own eggs with a crayon and place them in the dye. We also got a bit more creative with our decorating and added pompom, googly eyes, feathers and cut outs to create farm creatures: bunnies, chicks and sheep. You can make them yourself or like us, buy a set at Williams Sonoma or your local craft shop. 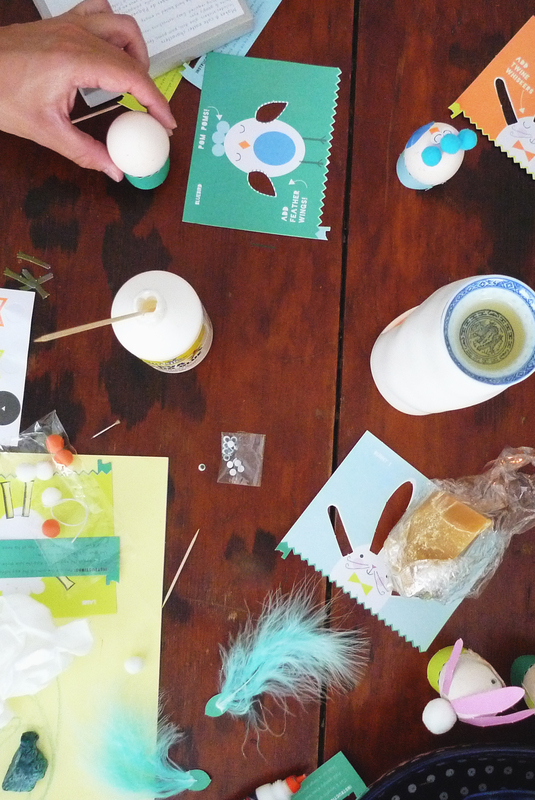 Whether the end result was a beautiful jewel-like egg or cute farm creature, each egg was truly personalized and the activity was fun for the whole family. Instead of candy in her Easter basket, Charlotte received gifts and craft items, such as barrettes, jewelry and bunny noses to play with. You can also give Easter specific books or religious items; whatever you find appropriate. In my family growing up, we always received an Easter dress or outfit to wear at church and our annual family photos. Whatever the special attention may be, the focus on candy and sweets can easily be diverted. It is the holiday, its meaning and the time with family that is important. Easter basket with small gifts such as jewelry, games, toys. Holiday or religious focused book. Special clothing for church or family day out. Tickets for a special family event (i.e. music at the Opera House). Apart from decorating, this year we also focused on two family activities or events. The first was a planned morning out at the Sydney Opera House to watch the Babies Proms (a musical event that introduces children ages 2-5 to music through live performances). Every time we go to a concert at the Opera House, we make a point to dress nicely and spend time as a family. It is always a special event at our house. The second activity was making colourful Easter pancakes. This traditions stems from my families tradition. Every Easter morning, my parents would make us colourful pancakes in the shape of a bunny. We tried it this year at our house with great success. Invite them to your family Easter egg decorating event or craft party. 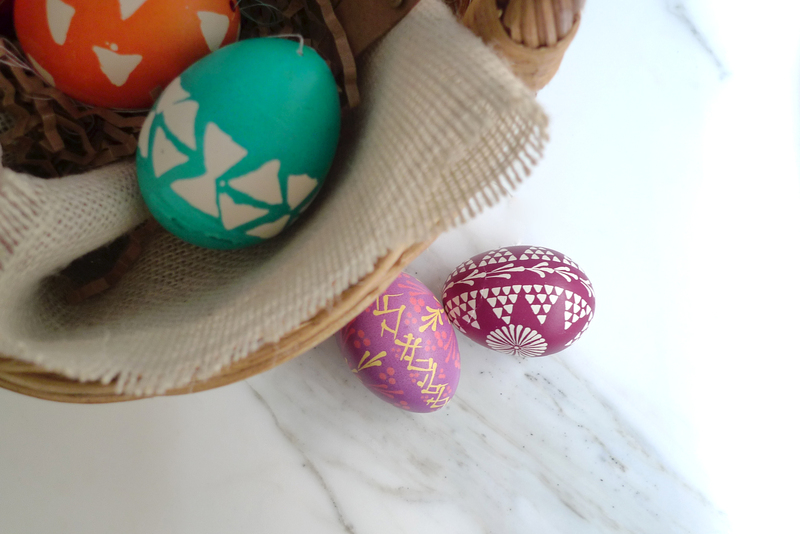 Host an Easter egg hunt with decorated eggs or small toys. Bake PKU or diet appropriate cupcakes or cookies and decorate them together with a holiday theme. Make high-tea with sandwiches, fruit and vegetables and have everyone dress in their finest, complete with elaborate hats (which you can make yourself). Volunteer at your local community or church. Give to others. Whatever the special attention may be, the focus on candy and sweets can easily be diverted. It is the holiday itself and its meaning and the time with family that is what is most important. Great article with lots of nice ideas. Love the beautiful pictures and the positive tone. It’s good not to focus on food all the time. Thanks for sharing!